Incroyable mais vrai après des mois et des mois d’attentes, le voici enfin ! Grand Theft Auto V is now available for PC at retail stores and via digital download. Grand Theft Auto V for PC offers players the option to explore the massive world of Los Santos and Blaine County in resolutions of up to 4k and beyond, as well as the chance to experience the game running at 60 frames per second. 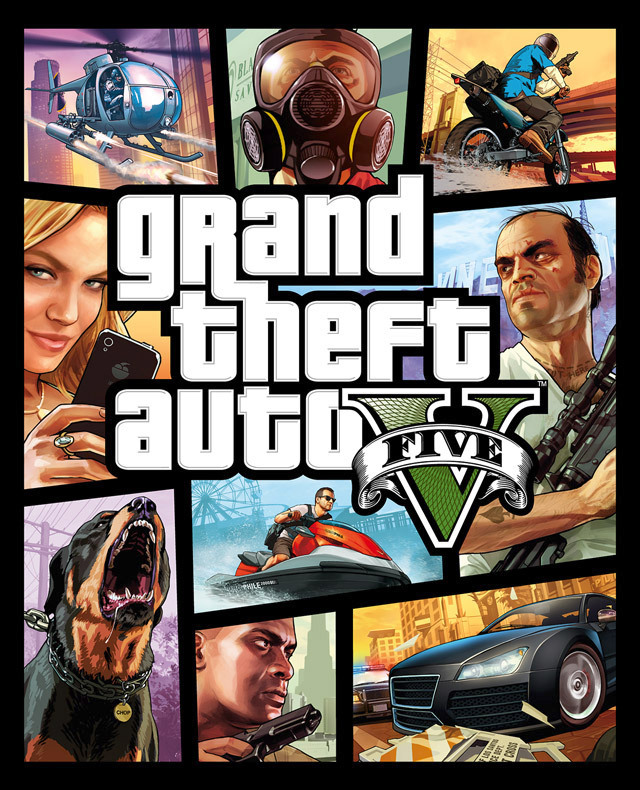 Grand Theft Auto V for PC also includes Grand Theft Auto Online, with support for 30 players and two spectators. Grand Theft Auto Online for PC includes all existing gameplay upgrades and Rockstar-created content released since the launch of Grand Theft Auto Online, including the recently released Heists and Adversary Modes available on day one. Grand Theft Auto V for PC also brings the debut of the Rockstar Editor, a powerful suite of creative tools to quickly and easily capture, edit and share game footage from within Grand Theft Auto V and Grand Theft Auto Online. The Rockstar Editor’s Director Mode allows players the ability to stage their own scenes using prominent story characters, pedestrians, and even animals to bring their vision to life. Along with advanced camera manipulation and editing effects including fast and slow motion, and an array of camera filters, players can add their own music using songs from GTAV radio stations, or dynamically control the intensity of the game’s score. Completed videos can be uploaded directly from the Rockstar Editor to YouTube or the Rockstar Games Social Club for easy sharing. For more information about Grand Theft Auto V and Grand Theft Auto Online for the PC, including minimum and recommended system specifications, please visit www.rockstargames.com/V/pc. For any technical issues with GTAV whatsoever, please head to https://support.rockstargames.com. As with all major online game experience launches on new platforms, please bear with any temporary stability or other technical teething issues that may occur during the initial release period. For a list of known issues related to GTAV PC and GTA Online, please consult the Grand Theft Auto V Support website knowledgebase where you can subscribe to articles for automatic updates. A peine sortie et déjà des problèmes comme c’est surprenant, au cas ou vous auriez des soucis. Voici comment vous en sortir ! Ainsi, lors de l’installation ou du lancement du jeu un message d’erreur apparaît : « le service de mise à jour de Rockstar n’est pas disponible (code 1) » Et bien commencez à sortir vos mouchoirs, mais non je déconne en fait c’est vous le problème ! Cette bonne blague hein ! Ce problème affecte uniquement les PC dont le nom d’utilisateur intègre certain caractères. Un changement de nom permettra à l’utilisateur d’éviter ce soucis. Vous trouverez sur le site de l’éditeur un article complet ainsi que la liste des caractères autorisés, afin d’éviter ses désagréments (cliquez ici). Développé par Rockstar North, les studios à l’origine de la série, Grand Theft Auto V est disponible dans le monde entier sur PlayStation®3, PlayStation®4, Xbox 360® et Xbox One®. Dispo le 14 avril sur PC. « MMOGA – 10% de réduction sur FIFA 15 coins!